There are those who say that evolution can never be more than a guess, because the timescales involved are just too long and nobody was there to see just how it all happened, especially in the very beginning. There are those who say that the only support for evolution is fossils and "just so" question-begging stories of "the survival of the fittest" where "the fittest" are simply those that survive. Those who say these things include people in positions of authority, people who sit on boards of education and others who decide what and how American children will be taught about biology. This shows very well that what is selected for in our political process is the very opposite of intelligence, or, at the least, of intellectual honesty. Well, this past June 10, researchers at Michigan State University published a paper in the Proceedings of the National Academy of Sciences entitled: "Historical contingency and the evolution of a key innovation in an experimental population of Escherichia coli." This paper is being reported by the popular media as "proving" evolution and demonstrating the evolution of a new species. This isn't true. But what these researchers have found, and how they found it, is very interesting nonetheless and has important implications for evolution. Here's what the MSU scientists did. They took a single strain of the familiar bacterium E Coli and cultured it in twelve separate flasks, feeding them glucose, though citrate and other things were also present in the culture media. They have been doing this since 1988 — for the last twenty years! They also made sure that these bacteria did not have plasmids — tiny, easily-transferred bits of DNA that can confer various traits — and that the cultures did not become contaminated with other organisms. 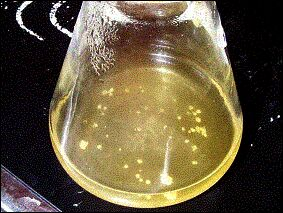 Over the years, whenever they discovered contamination, they restarted that culture flask, not from scratch but from the most recently-frozen sample. For, you see, over the past twenty years they have been taking portions of their cultures at intervals and freezing them. Imagine if we had this for our own species: populations of humans, all descended from a common ancestor, which had been kept apart for over 30,000 generations, with preserved specimens every 500 generations that could be reanimated when desired. That would be close to a million years of human evolution and without all the messy traveling around the globe and interbreeding that our kind has been engaged in over all that time. We could perhaps really study what and how and when things happened with our blood types, with a lot of minor but obvious changes in physical characteristics, with metabolic innovations like adults being able to digest milk sugars, susceptibilities to disease, mutations like Hemoglobin-S, the sickle cell gene, and so on and so on. Well, what did these MSU workers find with their bacteria, and what did they publish this last month? This ongoing experiment is no secret, after all. They've published all kinds of things about it already. 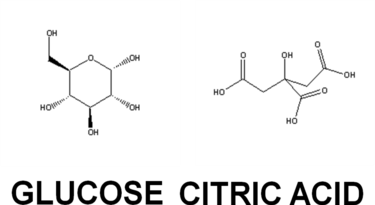 Their latest finding was that in one of their twelve cultures, after 31,500 generations, the "bugs" evolved the ability to transport the citrate molecule inside of their cells and use it for food in addition to glucose, something that E. coli can't ordinarily do. More importantly, when they went back to previous generations of this one culture and tried to "replay" this evolutionary event, they found that they couldn't do it for early generations but — ? … and this is from the abstract of their paper — "by 20,000 generations … some potentiating mutation arose" that allowed a very small number of the descendant organisms to come up with this new metabolic ability. "Thus," they concluded, "the evolution of this phenotype was contingent on the particular history of that population. More generally, we suggest that historical contingency is especially important when it facilitates the evolution of key innovations that are not easily evolved by gradual, cumulative selection." This might seem underwhelming. It is not as exciting as to say, with 70-point boldface type : "New Species Evolved In Lab!" But … but it shows nicely what the authors say and what theory predicts, which is the whole business of science to test, that mutations that offer benefits to living organisms often require "pre-mutations," or slow genetic changes over time that are otherwise unnoticeable, changes that can occur by "genetic drift." These might be duplications of genes that can then further mutate, usually neither harming nor helping but, on occasion, in the presence of the right selective pressure — here the limited availability of glucose but the unexploited opportunity of eating citrate — allowing another genetic change to give rise to a "key innovation." No, we're not likely to see something as dramatic as cows evolving into humpback whales over our lifetimes or even over the foreseeable future of humanity. But it is easy to see the mechanisms operating today — and if we look we can see the details of these mechanisms, as the MSU researchers are doing — that, as best we can tell, from simple chemical beginnings billions of years ago, have, as Darwin put it: "whilst this planet has gone cycling on … endless forms most beautiful and most wonderful have been, and are being, evolved." There is, indeed, as Darwin observed, "grandeur" in this view of life, and of our part in it. If you want to feel awe, and wonder, to feel insignificantly tiny and monumentally godlike at the same time, to feel, as some put it, "spiritual," use your rational faculty and think of facts like these!